I understand the challenge of finding just the right speaker. In my prior role as Children’s Ministry Specialist of the Baptist General Convention of Oklahoma I was responsible for many events. Events ranged from small to large and even multiple days. I quickly realized the success of an event came down to the quality of the speakers. If they hit a home run, we had a great event. If they didn’t, well… we had a not-so-great event. Like you, I found myself spending hours searching for speakers to make sure we had just the right fit. My hope is that this page will make it easy for you to get the information you need to make the best decision possible. Thanks for stopping by. Thanks for considering me. I am honored. If you want to check my availability for your event, or if you have some questions before proceeding further, please Contact Us! Or check below to see if one of my upcoming trainings is near you. Prompt, professional replies to your calls and email messages. A personal consultation with a member of my team prior to the event, so we can better understand how I can best serve you and your audience. A professionally prepared presentation filled with practical helps, humor, and appropriate illustrations focused on achieving the outcomes you want with your audience. A quick follow-up communication after the event to make sure I met your expectations and how I can further serve you. I have been speaking publicly for more than 15 years and have keynoted for multiple events. I have spent my entire career in ministry through the local church, denominational work and LifeWay Christian Resources as a Childhood Ministry Specialist. My blog, Mr. Mark’s Classroom, is in the top 100 most popular children’s ministry blogs with over 16,000 page views each month. I have been happily married to my wife, Connie for over thirty years. We have five wonderful children. We have one beautiful granddaughter. We live just outside of Oklahoma City. In my free time, I enjoy movies with my wife and motorcycle riding with my dad and son. I speak for churches, conferences and other non-profits. Here is my speaking demo reel. Begin the conversation, Email Us! I speak on topics related to leading children’s ministry, teaching preschoolers, teaching children and parenting. I will customize my presentation to meet your organization’s specific needs. My goal is to facilitate the outcome you want to create. Below are topics of conferences. Keep in mind that I can present these as a keynote or a workshop. Also, I have half-day and full-day workshop versions. My most requested topics include the following. Mark’s One Day Workshop– This all day experience trains all childhood education teachers in explaining salvation, creating Bible skills games, exploring service ideas, guiding behavior and becoming an amazing storyteller. Participants have hands-on learning carefully woven with rich content to inspire and equip them for teaching and leading kids’ ministry. 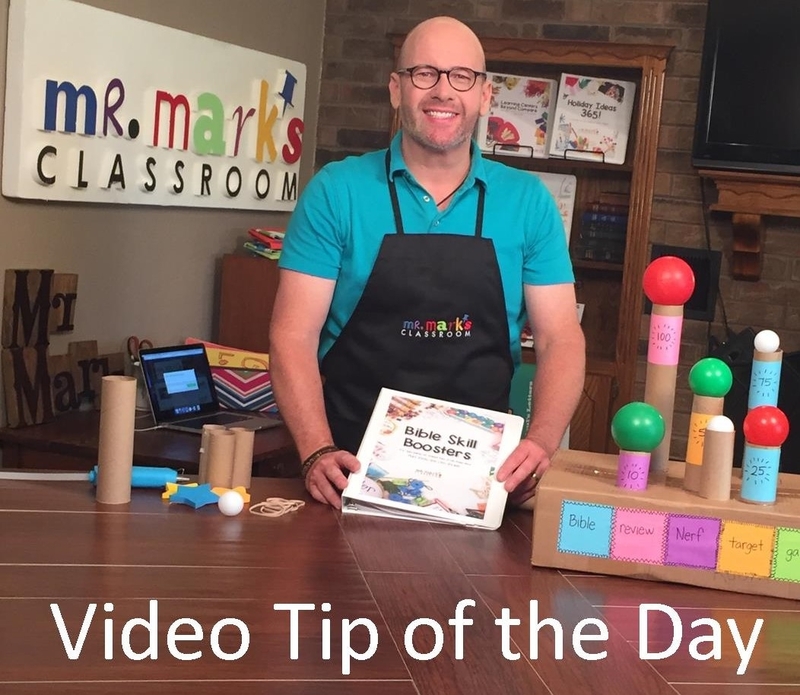 Mark’s Preschool Prep Day– Focuses on early childhood education with emphasis on setting up a great classrooms that teach, creating smooth transitions, tons of learning center ideas, games for large group experiences and guiding behavior in the classroom. Ever feel stuck in a rut and need a creative solution? You can have new ideas with fresh original thinking if you allow it. Learn how to be creative and also receive tools to lead your teachers to become creative with classroom activities. Does your ministry suffer from a lack of teachers or drop out teachers during the year? We will consider strong leadership practices every minister and leader should use and which pitfalls cause leaders to quit because they are fed-up with these people. The task of leading a children’s ministry can be overwhelming. How do you juggle all the different parts and still maintain meaningful relationships with adults and kids. In this conference we will clarify the areas of greatest need and solutions that give you control of your life and work. We can spend our time leading and preparing for a different event each week but do you know if you are fulfilling the greatest needs of Kid’s Ministry? 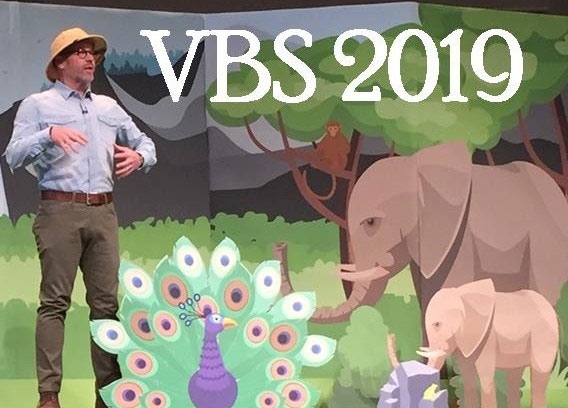 In this conference we will learn how to explain salvation to kids so our teachers feel equipped, develop Bible Skills through fun games and activities and explore lots of ideas to teach kids how to serve. Often we need a game to play that will better teach the material we are learning or stretch the teaching time when parents are running late. This conference will put that list in your back pocket and make you a hero with every teacher you give it to. Be ready to play! Teachers always need craft ideas for each season so look no farther! These ideas will supply your needs for a few years. Do you say yes to everything? Are you tired and your office is a mess but it seems you can never do the things you would like to do? Let’s get that figured out and learn how to do the essential things with strength. Learn practical helps for preparing your space and training greeters to effectively represent your ministry to guests. Many children’s teachers can get self-focused and frustrating to deal with each week. How do you deal with this attitude? We will explore five essential elements to knit together the hearts of our leaders and create a family unit of teachers for your kids. Teachers have super powers that really connect with kids, but they have not discovered them yet. Learn the amazing things you can do that will lead kids to better participation and relationships with you and others. Everyone is looking for new ideas to offer in their classroom but look no further. You will load up on great ideas for every center in your classroom that will make other teachers jealous. The early childhood learning experience is much different than elementary yet many preschool teachers simply haven’t been told what to do. The result is often childcare with valuable teaching time being wasted. In this conference, teachers will learn the practical ways of teaching preschool. Teaching begins with the greeting, setting up the classroom for success, and discovering how preschoolers learn best. You will become a star teacher by following these simple recommendations. A great group time can be everyone’s favorite part of the day. You will learn the secret to moving kids from learning centers, cleaning the room, and fun story telling techniques that will capture their attention. It is amazing how such beautiful children can turn into the ugliest faction opposing you at every turn. Learn how to guide the behavior of kids and deal with their bad choices without losing your cool. You can have a happy classroom if you apply these simple principles. Playing group games can be the highlight of the day but teachers need game ideas. Come get great ideas you can use with your class immediately. These learning games are great fun to play over and over again. Take special note of the games with no props, perfect for emergency situations to stretch your time with kids. Infants develop the ability to sign much sooner than speaking. When teachers and caregivers practice these signs in their communication, the child will feel more secure and ultimately learn to speak sooner. Come learn 25 words/ phrases and how to teach them to your infants. Teaching infants to sign has to be one of the great rewards as a teacher. Load Me Up with Bible Skill Games! Leaders will have great fun playing these Bible games and take home fresh ideas to share with workers to better equip kids with Bible skills. Be ready to play! Teaching Children can be challenging unless you know how to organize and set up for success. This conference will teach you how to create a classroom experience filled with engaging learning activities kids will enjoy. This can be a frustrating group. Some never talk while others won’t stop talking. Learn how to engage your preteens in a way that makes them feel accepted. Teach them biblical principles that challenge their way of thinking as they firm up these foundations of faith. Storytelling can become your favorite part of teaching kids. Learn how to bring the story to life and capture the attention of kids for longer periods of time. These ten principles will make all the difference. Be ready to see storytelling demonstrated in many creative ways. Keep your cool with these 10 principles for guiding behavior with kids. No matter if you are in the classroom, camp, or a fieldtrip, these principles will still work. Hear personal examples of success (and some failure) so you can guide the discipline in your classroom. People often ask for the children’s version of the plan of salvation. There is only one plan of salvation and you can learn how to explain it kids. Learn when to wait and how to lead an invitation in your classroom. You will be equipped to share Jesus with kids next Sunday. No form of discipline will ever be effective if the only times you have together is about correction and discipline. Learn how to connect with your child and see your hearts knit together through these simple steps you can take. Ever wonder what makes your kid think the way they do and then act on it? You will find new ways of dealing with your child’s decisions by understanding how he thinks. These practical tips will serve you well when dealing with tantrums too. Entitlements are a force to be reckoned with in our culture and it fits hand-in-glove with the lack of respect. You will learn simple strategies to practice and teach your children a much deeper appreciation for things and people. Everyone wonders if they are doing this right. How do I discipline my child so he minds? What am I doing wrong? There is a certain way of guiding behavior that is common for girls and boys alike but most often there are better ways for each gender. Learn the differences and what ages you must make an adjustment in your approach. Your child may become a great leader someday since they have such great ambition and need to test more often than other children. Learn how to harness that energy for the good without growing weary in the meantime. Mark has spoken at Houston’s First Baptist on many occasions. He is the type speaker that you want to come back over and over. Mark speaks from many years of valuable experience with passion and authenticity. His delivery is interesting and certainly entertaining. Mark has spoken to our leaders as well as the parents. He is qualified to empower and equip both of these groups. I am so thankful that he invest so much time and energy in the lives of families. Mark is making a difference! Thanks again for considering me for your event. You can take the next step by checking my availability. Just send us an email and someone on my team will be quick to respond.